Large diameter custom tires and low-profile wheels are some of the most popular aftermarket accessories on the scene today but as anyone who's tuned or modified their wheels can tell you, one of the results of this type of customization is exposing less attractive parts of your ride that were previously unseen. Due to this there has been an explosion of caliper and brake mods in the form of covers, paints and dips in the last five years and every year it seems like a new player steps onto the scene. Knowing which product is the right choice for you is a personal decision that must be made based on your budget, your level of expertise and skill as well as the exact look you're hoping to achieve. Do you want to keep your ride looking as stock as possible but simply want to change the color of your brakes and calipers? If so, our Dupli-Color or G2 Caliper Paints may be your best bet. Don't feel confident about painting your calipers? A great, high-quality alternative is our complete selection of MGP Caliper Covers which are made from aircraft grade aluminum and designed to fit your vehicle like a glove. Like the big brake look but can't justify the expense of MGP Covers? Browse our complete catalog of universal ABS Caliper Covers available in four great colors and three different sizes. When you want to get the look of big brakes but you don't want to change the OEM look of your car or truck then Dupli-Color, VHT or G2 Caliper Paints are the way to go. Learn more about the advantages of Caliper Covers and Caliper Paints. 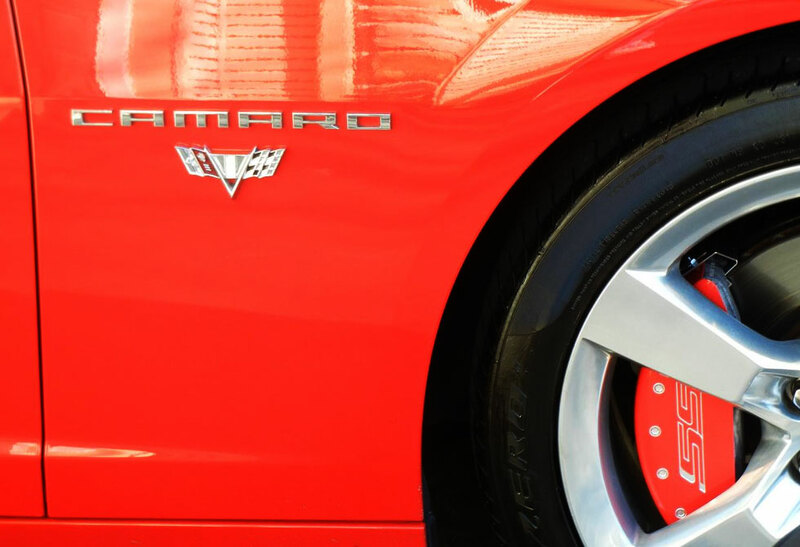 All three of these brands give you unparalleled protection from corrosion and oxidation all while making your brakes pop to give your car, truck or SUV a great custom look! All of the Dupli-Color Caliper Paint kits that we offer come to you with just about everything you need to get the job done: an aerosol caliper cleaner spray, can of paint, application stirrer, masking tape and a brush. In short you get all of this in one convenient package in your choice of silver, black, red or yellow paint. For those looking for a little more variety or a custom paint match then G2 Caliper Paints may be the way to go. Mix your own paint with a custom paint kit for that perfect, OEM look or choose from eleven bold colors such as pink, purple, orange or gold. Looking for a straight spray on that will stand the high temperatures of your brakes and calipers? Look no further than VHT Caliper Paint because they are they original, very high temperature brand. Choose from eight great different colors and repaint your calipers in no time at all. Don't think that painting or spraying is the way you want to go because it's too messy or time consuming? Well fortunately, we've got a quick, easy and great looking way to get the oversized brake look that is as no fuss as possible. MGP Caliper Covers are a great, premium quality alternative to painting that are manufactured right here in the USA from aeronautic grade aluminum with TIG welded stainless steel fastening clamps. Probably the best thing about MGP Caliper Covers is that they are application specific which means that you are buying a set that is made to fit your year, make, model and sub-model like a glove. No cutting or modifying is necessary when you purchase these brake accessories. Simply remove your tire and fasten the covers to your calipers with the provided hard ware. Installation is a breeze and your vehicle will get the custom, big brake look you've been drooling over in literally minutes. 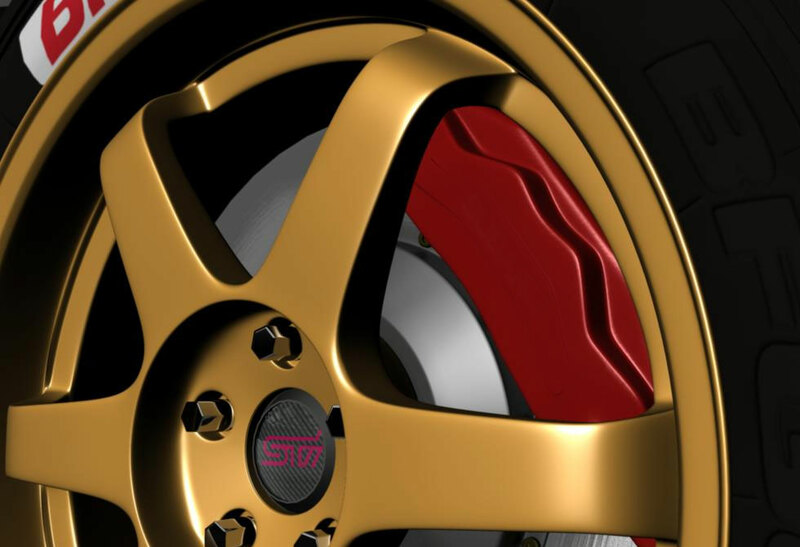 Available standard in red or black powder coated finishes as well as in custom finishes such as carbon fiber or factory-match paints with custom-engraved lettering, you have total control of the look and feel of your vehicle's brake accessories. One of our most popular options for cosmetic brake and caliper modification is our line of ABS Caliper Covers. Made from impact-resistant, ultra-durable plastics that will not oxidize, rust or discolor these aftermarket accessories give you the look you want at a price that's hard to refuse. Choose from vibrant, high-gloss colors such as red, yellow, blue or black and select the cover size that most closely matches your brake size. Installation is simple with the use of high heat silicone and the covers can even be cut to accommodate irregular assemblies of wheels with little clearance. Who would have thought that you could get the Brembo brake look on all four wheels for less than $50? So, what are you waiting for, grab a set today and start turning heads wherever you go. 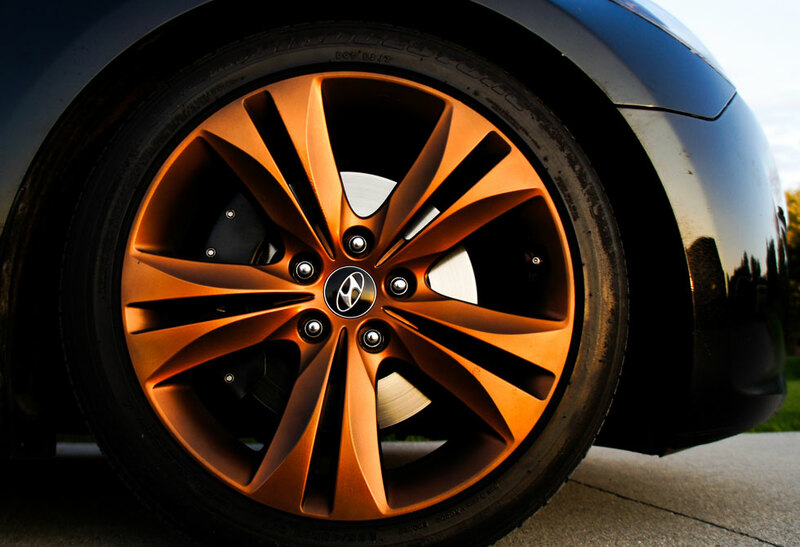 If you are contemplating a visual upgrade to your car’s wheel and tire package, make sure you consider the whole package. 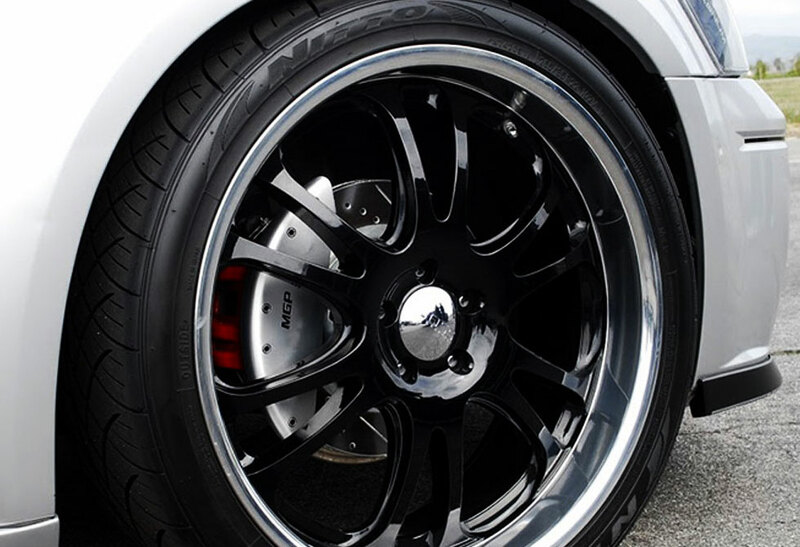 Upgrading to larger rims and lower profile tires will expose the beauty of your brakes. The big question, then, becomes: Are your brakes beautiful? 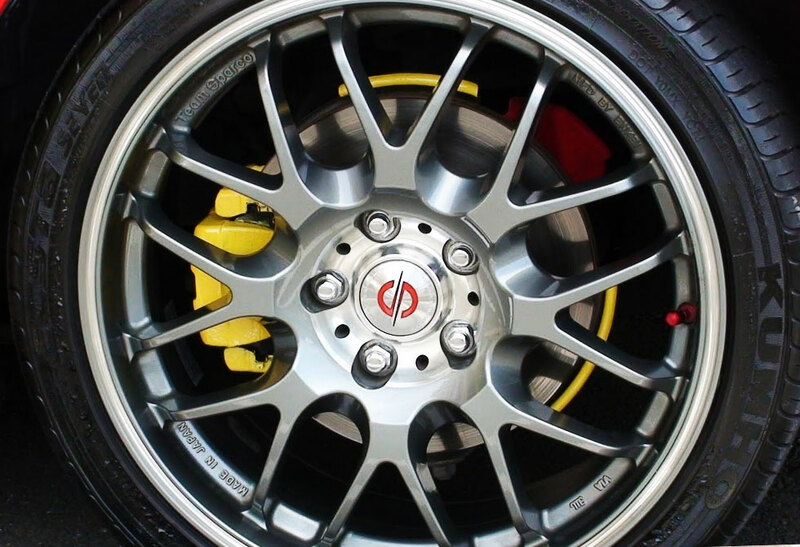 Every car enthusiast wants the look of a massive set of brakes sitting behind their shiny new rims, with a bold, bright brake caliper sitting on the edge. Brake size is largely determined by your car’s overall setup, and changing the diameter of your brake rotors could introduce some unnecessary safety risks. 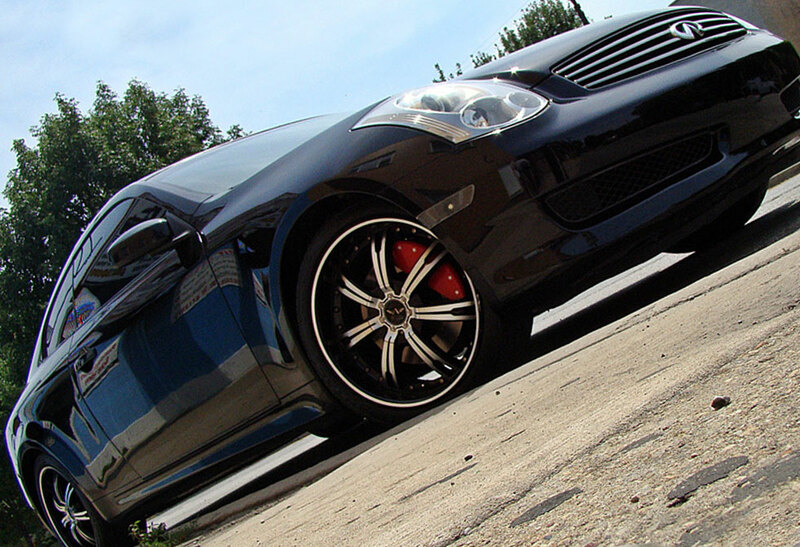 Your best bet for upgrading the look of your brakes is to improve the visual appeal of your calipers. 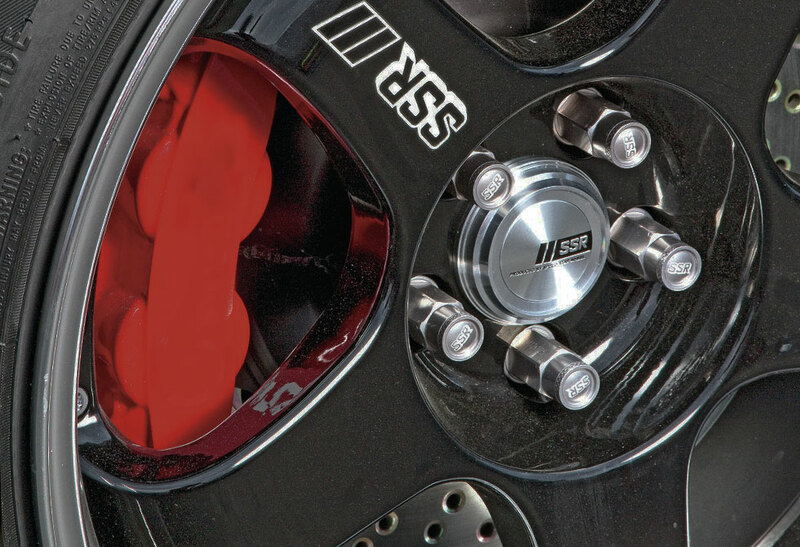 You could paint your calipers to either match or contrast your car’s body color, or you could install caliper covers, which will completely transform the physical profile of your brake calipers. Caliper covers also offer practical benefits as well, in the form of better heat dissipation. Brake caliper covers may not be the ideal solution for everyone, but we’ll explain why they might be the best option for you. Caliper covers are exactly what the name suggests — covers that are designed to fit over your existing brake calipers. They install easily with a couple of clips and are engineered to ensure they do not negatively impact the operation of your car’s brake systems. Caliper covers sit on a broad spectrum of quality, price and material, so there’s a solution for every car and every budget. Plastic ABS caliper covers are cheap but durable, thanks to the added silicone that helps the plastic stand up to the intense heat your brakes can throw off. In daily driving, these covers will perform adequately, and because they aren’t made of metal, they will resist rust and corrosion much longer than your car will. Aluminum caliper covers sit all the way at the other end of the price range, but they have the performance and good looks to justify their higher cost. MGP is the industry leader in aluminum caliper covers, using aerospace-grade materials and high-quality powder coating. MGP caliper covers are the gold, or rather aluminum, standard. Aluminum caliper covers most closely resemble the look of high-end brake calipers, such as the Brembo systems found on just about every performance car in the world. If your desired appearance package is that of speed and performance, these calipers will help get you there. As impressive as these calipers are from an aesthetic perspective, perhaps the most impressive thing about them is the practical benefits aluminum calipers will offer to you as well. Not only do these calipers look great, but aluminum is a great conductor of heat. This means a set of aluminum caliper covers will actually improve the heat dissipation of your car’s brake system. Better braking performance translates into a safer vehicle. Not many visual car modifications can say that. These covers are primarily an aesthetic modification. You’re considering this product because you want to improve your car’s curb appeal. The protective benefits of the plastic caliper covers are negligible because the calipers themselves are made from sturdy cast iron and are largely protected by your car’s tires and rims. The performance benefits of aluminum caliper covers are real and measurable, but we aren’t arguing that a simple set of aluminum covers is as effective as installing actual performance brake parts. If you have any ambitions of taking your car on a track, aluminum caliper covers aren’t the answer. Caliper covers do redirect the brake dust coming off the pads, which will help you keep your wheels cleaner. The dust will be sent back towards the rear wall of the wheel well, which is already plenty dirty from road dust and debris, so you’ll never notice a little brake dust added to it. If you are considering an upgrade to your calipers and you might actually take your car out on the track, you may be wondering how to decide between a set of caliper covers and a whole different set of calipers. Figuring out which solution is right for you comes down to the same two factors as everything else: time and money. In this case, the time consideration comes into play in two different ways. First, you must consider the time you will invest for installation. A good mechanic can do a brake job in an hour or so, which isn’t much, all things considered. Are you a good mechanic? If not, doing it yourself could require quite a bit more time. If you would rather let a professional handle it, you’ll be paying for their time. Caliper covers, on the other hand, are installed in a matter of minutes. All you need is a few hand tools and access to the caliper behind the wheel. This will likely require you to put the car up on a jack stand and remove the wheel, but that is still much easier than a full brake job. No professionals necessary. The second time factor to consider is just how much time you are going to spend pushing the limits of your brakes. We mentioned before that aluminum caliper covers do improve the heat dissipation of your brakes, but this tiny performance improvement can’t possibly compete with an actual set of performance-engineered brakes. This leads us to consider the money factor. Are you going to spend a lot of time on the track? Spring for the real thing. Do you just like to engage in some spirited driving around town and out on the back roads? Save yourself a couple hundred bucks and get a set of caliper covers. If you know you don’t need to shell out for a set of performance brakes, you have the option of choosing caliper paint over caliper covers. 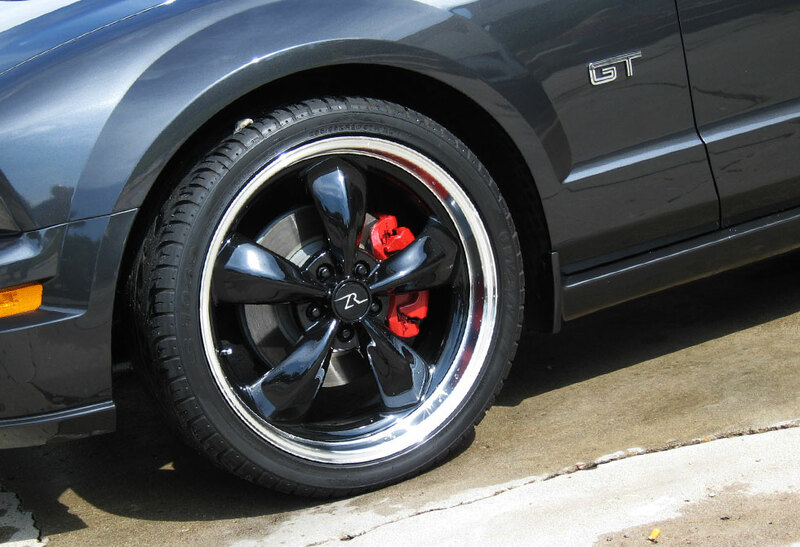 Painting your calipers can give you the color contrast you are looking for, but there are a few other factors to consider. Caliper paint won’t change the physical profile of your brake calipers, so if they are sort of ugly to begin with, a new set of paint will simply make them colorfully ugly. 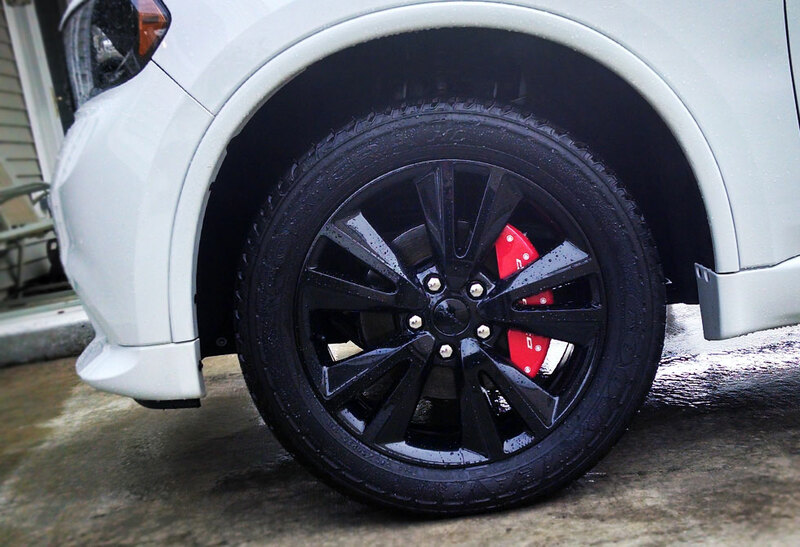 Caliper covers will give your brakes a whole new profile to go with that pop of color. The task of painting your brake calipers is not small, either. If you really want to do it right, you’ll have to remove the calipers from the brake pads, lest you cover other suspension components with paint and your brush with dirt. After you have removed your calipers, you’ll want to clean them very thoroughly to ensure the best possible adhesion of the paint to the surface. This could possibly be more time-consuming than the paint job itself. And since even the best paint jobs only last about four years, you could possibly be looking at doing this all over again before you are ready to sell the car. Installing caliper covers takes a matter of minutes, and removing them is just as simple. Plus, they will last anywhere from seven to 10 years if you opt for the higher-end aluminum covers. This is not to say caliper paint is not worth the hassle. Perhaps you have a set of handsome brake calipers, and you simply wish to provide some color contrast with the car’s body color. A paint job could be exactly what you are looking for. However, when you compare the time and money investment each product requires, and the quality of the finished product, the scales tilt heavily in favor of caliper covers. Do I have the money to spring for the higher-quality aluminum covers? Am I satisfied with the aesthetic quality of the plastic options I have to choose from? Do I even need to spend more for the aluminum caliper covers? 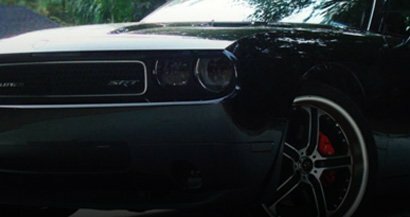 Rvinyl has options at every price point in nearly every possible cover for almost any make and model vehicle. Browse our selection and pick out the option that works best for you. These caliper covers are not bad for the price, I mean they are obviously not Brembo but, once installed they do give a serious look. I have these on my 2008 328xi and am happy how they came out. I did need to modify them a bit to fit the calipers and used high temperature silicon for the adhesive. They don't rub my rims and the metal hardware looks pretty realistic once the covers are on. Not bad, wish install was a little more straightforward. For the effort, it was worth it. That being said, making them fit on my Chevy Cobalt was not super easy. I had to shave off part of the back to make it clear the rims on my car. The yellow looks great, but it took the greater part of an afternoon to install. For the price its worth it! Although it took longer than they advertise to receive the kit, it was easy to use and it really looks awesome! Make sure you measure the clearance between your rims and your calipers or you are going to have to modify them to fit. I got a set for the front and the back of my 5-Series and love the look. The black is high gloss and matches my paint paint job. The prior owner painted only one caliper red for some odd reason, but I was able to use brake cleaner and sand paper to take off the majority of the old paint. The silver paint also came out as expected. I prepped my calipers by cleaning and sanding, also used newspaper and painters tape to cover the key parts. I left them to dry for approximately an hour Overall, I'd highly recommend over any other brand or powered coating. Worked well to restore the gloss on my previously painted calipers. Amazingly effective de-greaser, and i loved the pressure in the can the only reason that it did not get 5 stars is that it felt like the can was empty in the blink of an eye, Id like to see more product loaded into a can. Quick delivery. Great value. Exactly as advertised. Cannot wait to get to work with the product! THE PRODUCT WAS GREAT, IT JUST DIDN'T FIT THE STYLE THAT I WAS LOOKING FOR. When purchasing these caliper covers I was specifically guided to car-specific (Volvo XC70 2010) product. Yet when they arrived not only the overall size of covers but the inner side's shape (or ribbon rather) of a cover wouldn't fit neither front nor back calipers. Not sure why website said that it will fit my car. Will be returning this product.